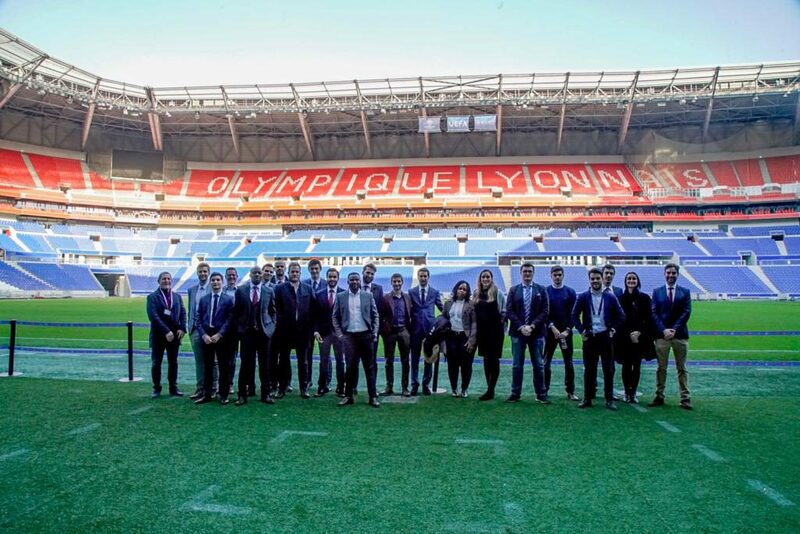 During our last module, my classmates and I had the chance to enjoy a Field Trip to Olympique Lyonnais. Compared to the other Field Trips, this one was a little bit more special. Indeed, we went there one day earlier because we had the opportunity to attend the Champions League game between Olympique Lyonnais and FC Barcelona. We could not expect a better way to start this Field Trip. Personally, it was my first ever Champions League game and being able to see Messi, Suarez and Co playing for real and not only on the TV is something I will forever remember. It was also a nice and rewarding experience for the Candidates as we were only by ourselves without any FBA staff which allowed us to strengthen the bonds between us. 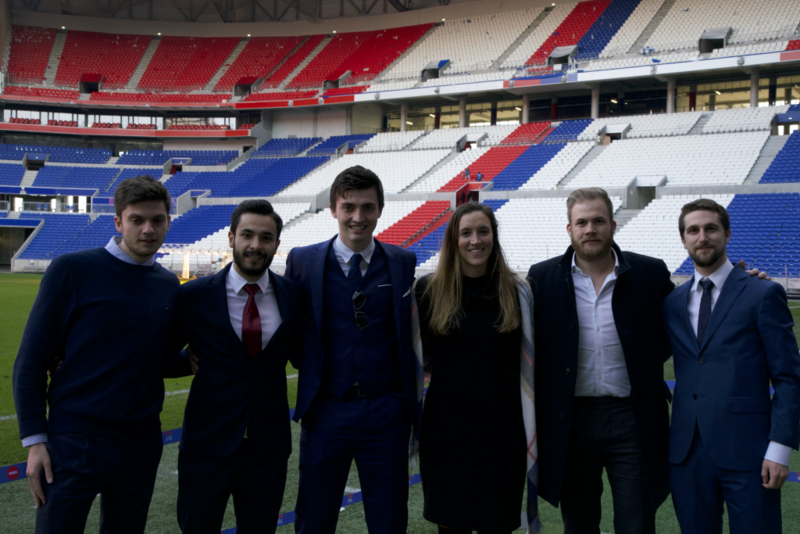 The day after, we were welcomed at the Groupama Stadium by the Olympique Lyonnais staff and the head of their international development department, Clément Michon. The welcoming was very warm and friendly. The day was divided into 4 parts. We started with a presentation about Olympique Lyonnais’ history in general. This allowed us to better understand their development strategy and the reason why they built a new stadium and training center as well as how they manage it. The second part was about Corporate Social Responsibility (CSR) presented by Maëlle Trarieux, CSR Project Manager. It was really interesting to see how much the club is implicated in social responsibilities but moreover how they integrate it as a pillar of their business model. For instance, the club was the first one to use a robot in order to allow sick children in hospitals to control the robot from their own room and be live with the players as well during home games. The third part gave us the chance to have as guest lecture given by Vincent Ponsot, Deputy General Manager of the club (Sports Administration). He presented his vision of women’s football and what they actually do in order to develop it. 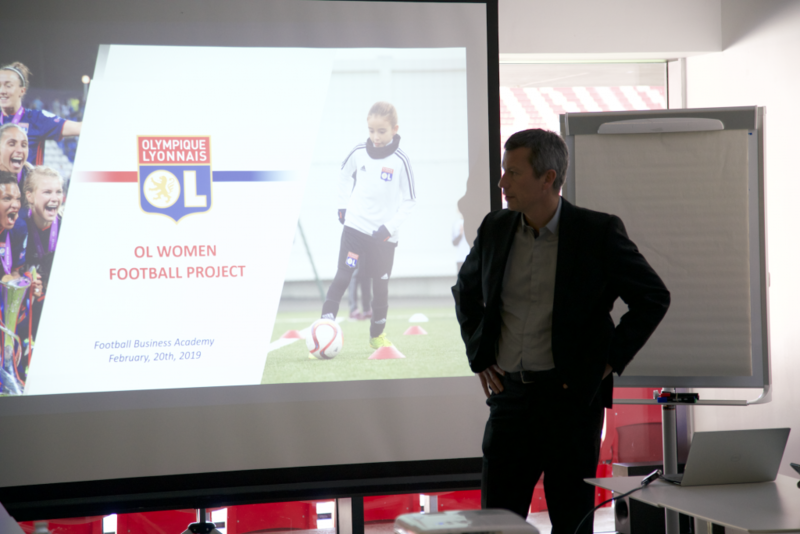 We were able to see that OL is one of the pioneer clubs to promote and develop women’s football in France and across Europe. Actually, they have certainly the best women’s team in the world according to Vincent Ponsot but also by looking at their results over the last 12 years (5 Champions League titles and 12 Championships). Olympique Lyonnais is also one of the first clubs which has a training center for both the men’s and women’s professional teams. The last part was given by Xavier Pierrot, Stadium Manager and Pierre Duprat, Events Manager. They gave us a good overview of the Groupama Stadium and what it implies in terms of management. It was also interesting to discuss with them as we were customers the night before for the Champions League, thus allowing us to see both situations, both points of view: the fan side and the host side. Finally, we had the chance to experience a stadium tour which allowed us to have a deep overview of the stadium such as the venue, the home locker-room, the pitch and VIP sky box as well. What I will retain from this Field Trip is the Champions League game for sure but furthermore the great experience and the chance we have at The FBA to be able to listen and discuss with highly qualified professionals of the industry and also to be able to have a better overview about what it is to manage a club such as Olympique Lyonnais. It is not only about the first team and the game, but it also includes the long-term vision with the new stadium and training facilities, the development of women’s football, and the social responsibilities – to name just these three fundamental pillars of the club. Johann Frischholz is an Alumnus of The FBA’s Professional Master in Football Business 2nd Edition. He can be contacted via LinkedIn.